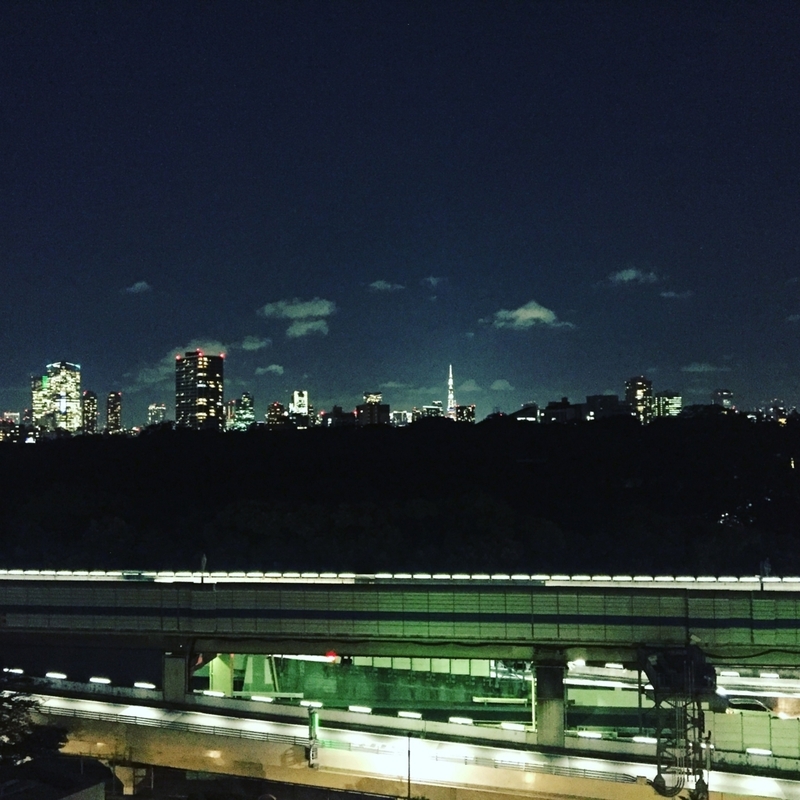 【ENGLISH BLOG】Preparation for my next trip! Hello everyone! My nama is Hugh Yamada, not YOUR Mother! but YaMaDa all the way from Japan! Alright! Today, I'm gonna talk about what I've been doing for my next adventure. There are lots of things to prepare. 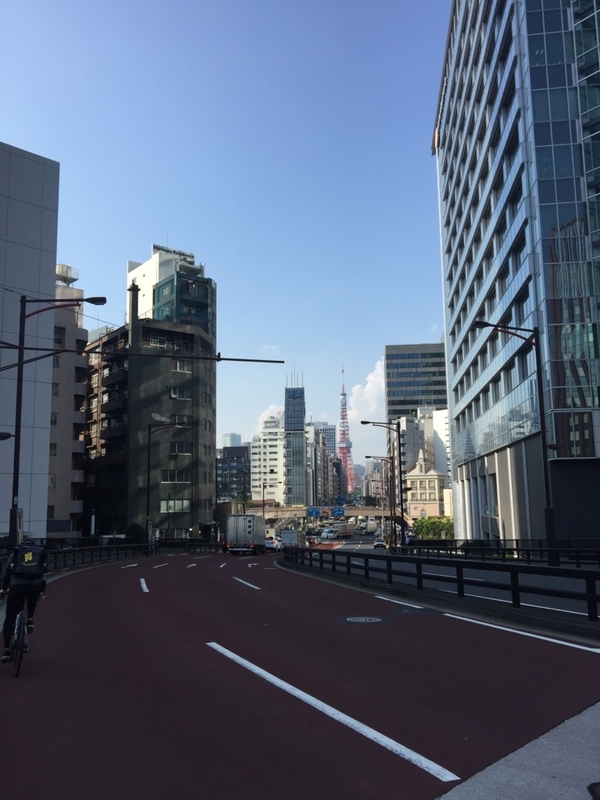 However, the most important thing to prepare is myself having enough stamina and bicycle trainings! It's been about 4 years since I finished doing cross country in Japan. I haven't got on to a bike for almost about 3 years. Now I'm styaing at my friend's place in Tokyo. 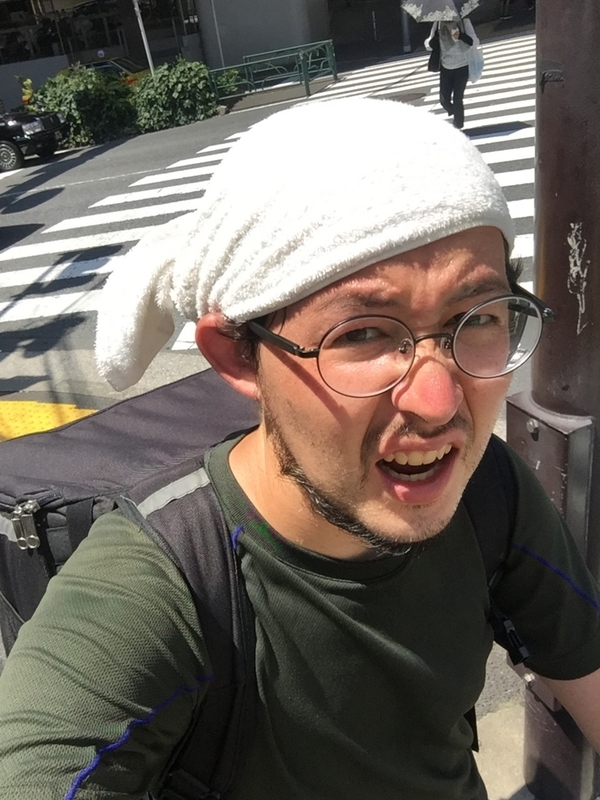 My friend, Mr.Sato, who has been doing UBER EATS by bicycle asked me to join him. Some of you may know, maybe not, UBER EATS is an app. that users and workers both can use on their phone. User order what they want to eat or drink through the app. Worker will receive a pick up call and when the worker accept it, worker will go pick up for the user and deliver to the user, BY BICYCLE or Motor bike. I've been doing this for about 2 weeks in straight now. Most likely I've been running(biking) about a little over 100km(62 miles) everyday. We start working around 11:30am and finish it around 10pm. This training has been doing awesome to me! My muscles and bicycle techniques are developping dramatically! 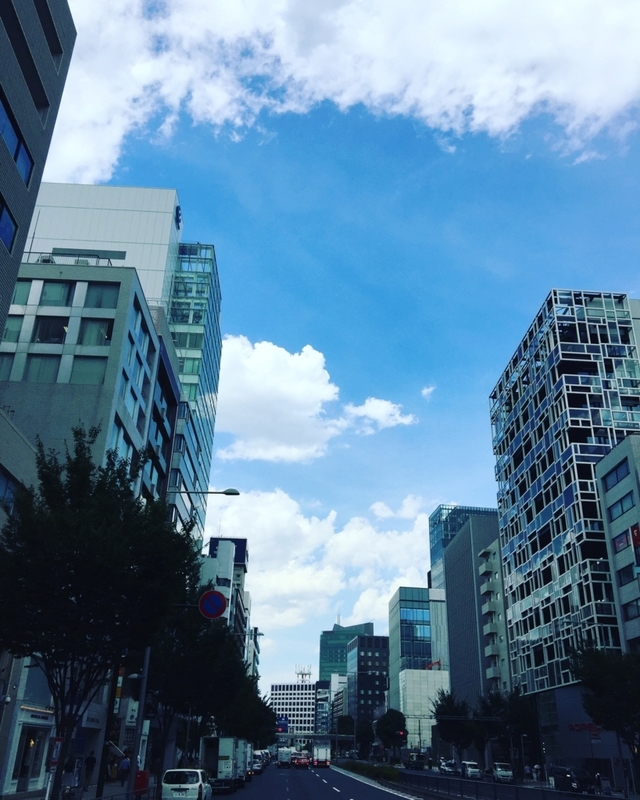 However, Tokyo recently has been crazy crazy crazy hot. Money wise, in average I've been making 12300 yen per day, which would be around US$120 per day with 8hr 20min per day(average). 1447 yen(US$14) per hour.... it's ok.. right?? There are no working shift so I can start, finish and take breaks or even take a day off any time I want. Instead of going to a gym and pay for whatever monthly fee that it may takes, UBER EATS is the best way to have excersize, lose weights, and make some money. 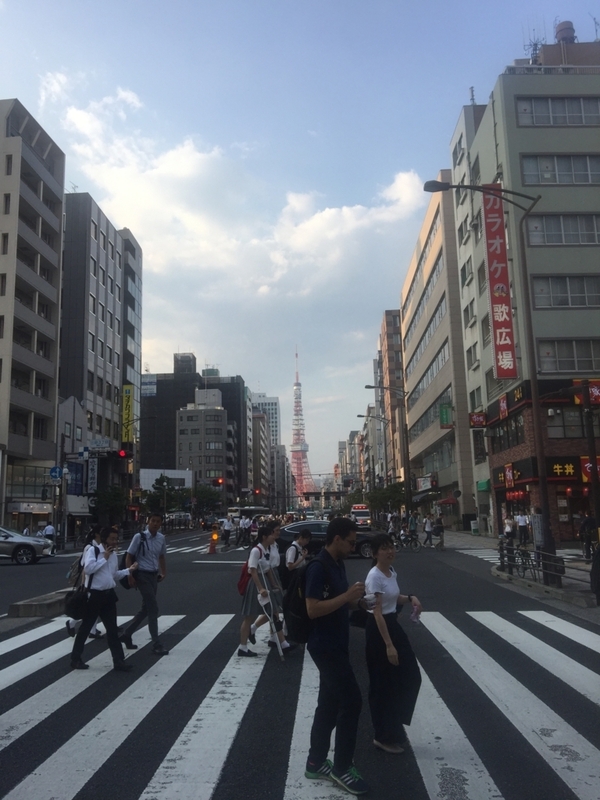 You can learn lots of Streets in Tokyo! 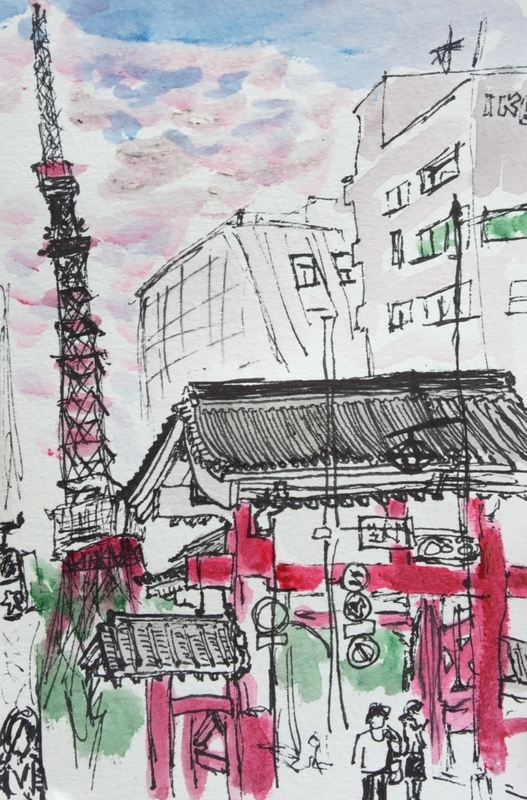 You can learn lots of cool restaurants and cafes in Tokyo! You can see lots of nice views as well! 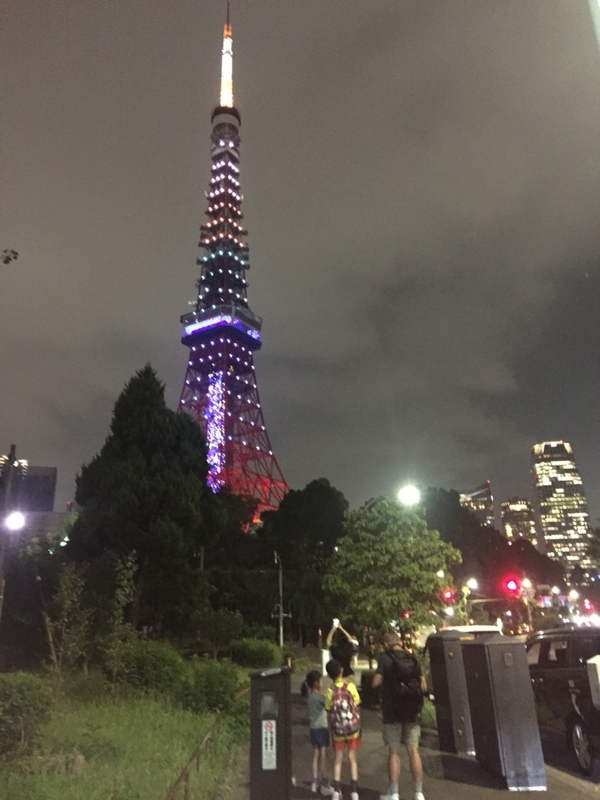 TOKYO TOWER is a very beautiful tower and nice to see it from many different angles and different timelines. 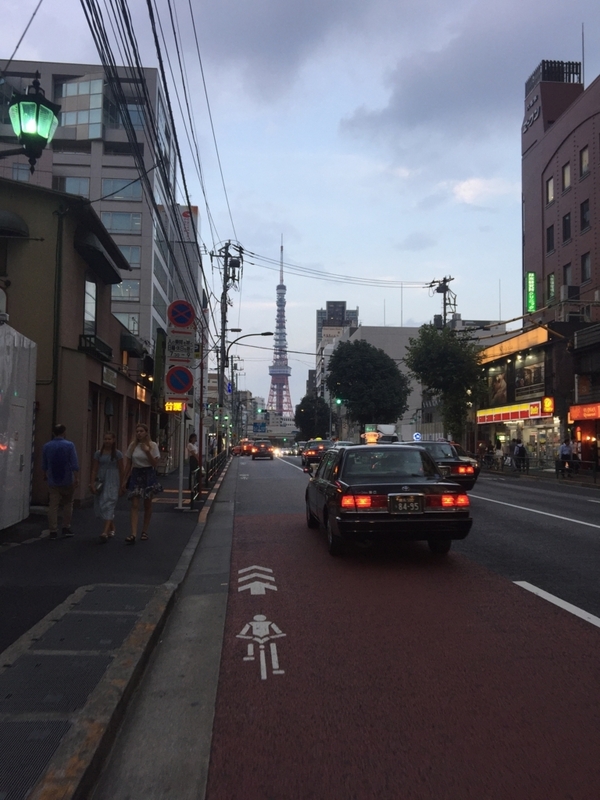 I also learned that Tokyo is not a walkable city, however, it's a bikable city! 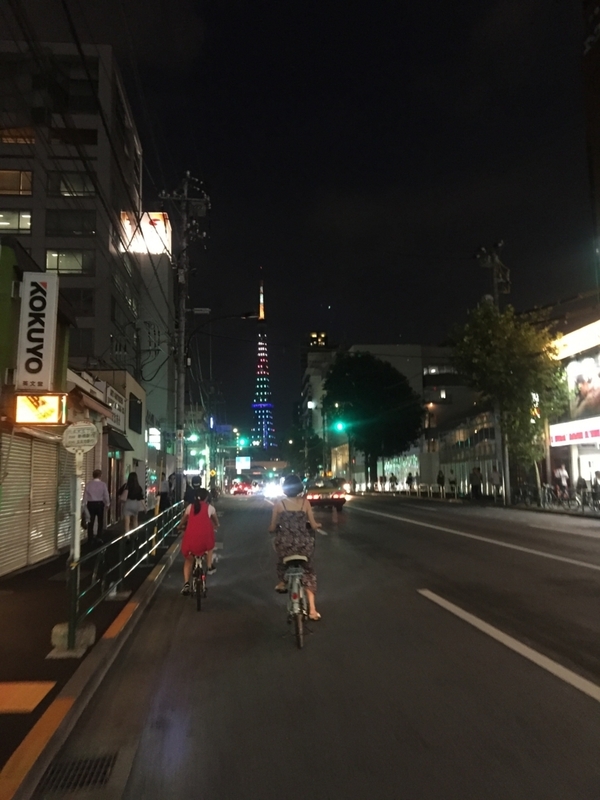 Lots of famous cities in tokyo are close enough to travel by bicycle. 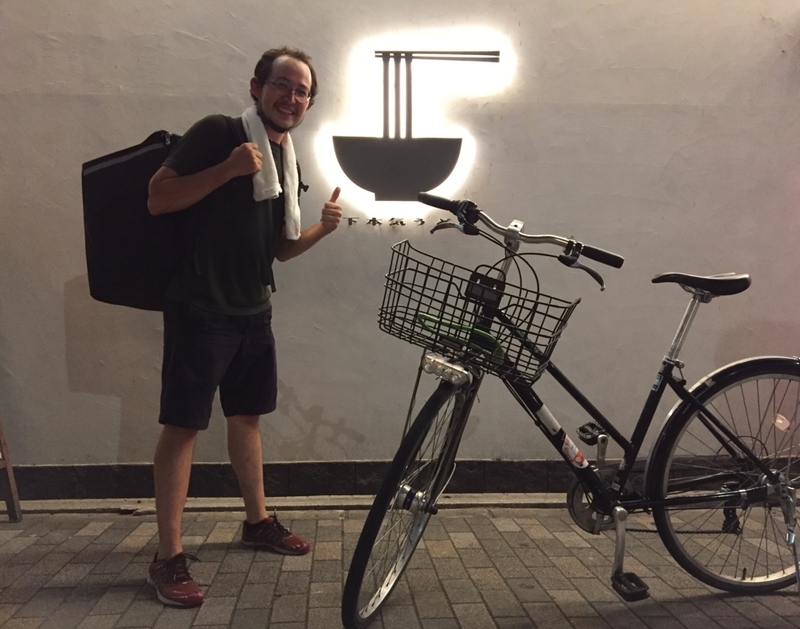 I highly reccommend to bike in Japan instead of getting on trains like mushpotatos.